Donald Macleod focuses on Falla's exploratory music from a settled period between 1920 and 1939, when he lived in Granada. 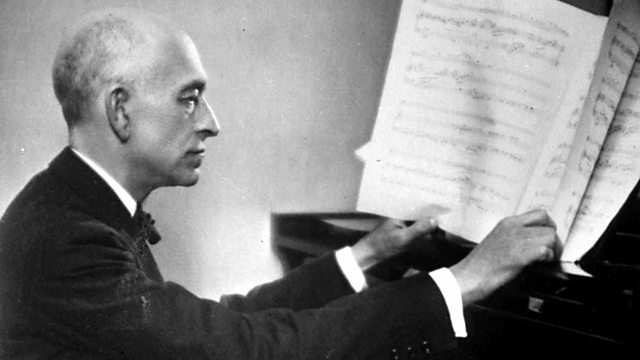 In the autumn of 1920, Manuel de Falla moved to Granada with his sister Maria del Carmen. The house in which they lived, from 1920-1939, in a little alley in the old Moorish quarter of Granada, overlooked by the Alhambra palace, is now the Manuel de Falla House-Museum. Living in Granada was the realisation of a dream for Falla. He now had a refuge from the public world of concert tours. He told one newspaperman: "I am absolutely dedicated to music, and music must be lived, must be inside you; it must be formed naturally. Music is a thing of mystery!" Donald Macleod celebrates Falla's exploratory music from this settled period. Singer: Ismael Pons-Tena. Singer: Jordi Galofre. Singer: Nancy Fabiola Herrera. Singer: Natacha Valladares. RCA : 09026 -61389 2. Singer: Victoria de los Ángeles. Conductor: Josep Pons. Orchestra: Barcelona Free Theatre Chamber Orchestra. HARMONIA MUNDI : HMC 901432-. Conductor: Charles Mackerras. Performer: Rafael Puyana.